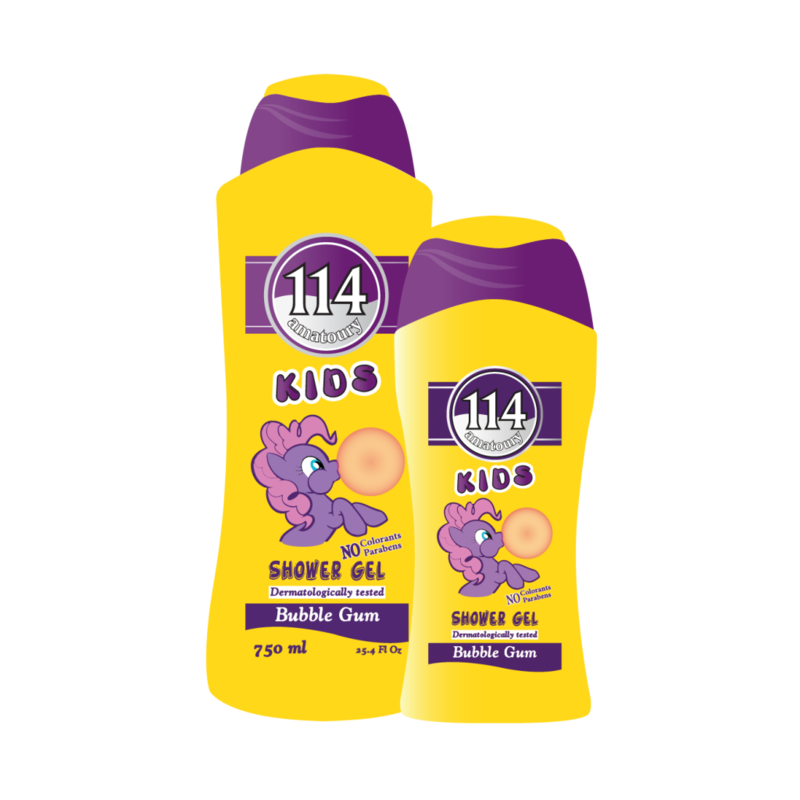 114 KIDS shower gel indulges kids in a magical bathing experience! Enriched with Chamomile extracts, this mild formula is specially developed for kids to gently cleanse their sensitive skin leaving it smooth, moisturized and lightly scented. 114 Men Hair & Body Wash provides your entire body with a quick & easy clean. Its 2 in 1 hair & body formula, acts both as a refreshing shower gel & a moisturizing shampoo. Its generous but ultra-light foam rinses off quickly leaving your skin feeling refreshed & your hair hydrated & healthy looking. This great body wash is guaranteed to please your senses whether you use it at home, in the gym or at the beach. 114 KIDS shower gel indulges kids in a magical bathing experience! Enriched with Chamomile extracts, this mild formula is specially developed for kids to gently cleanse their sensitive skin leaving it smooth, moisturized and lightly scented. 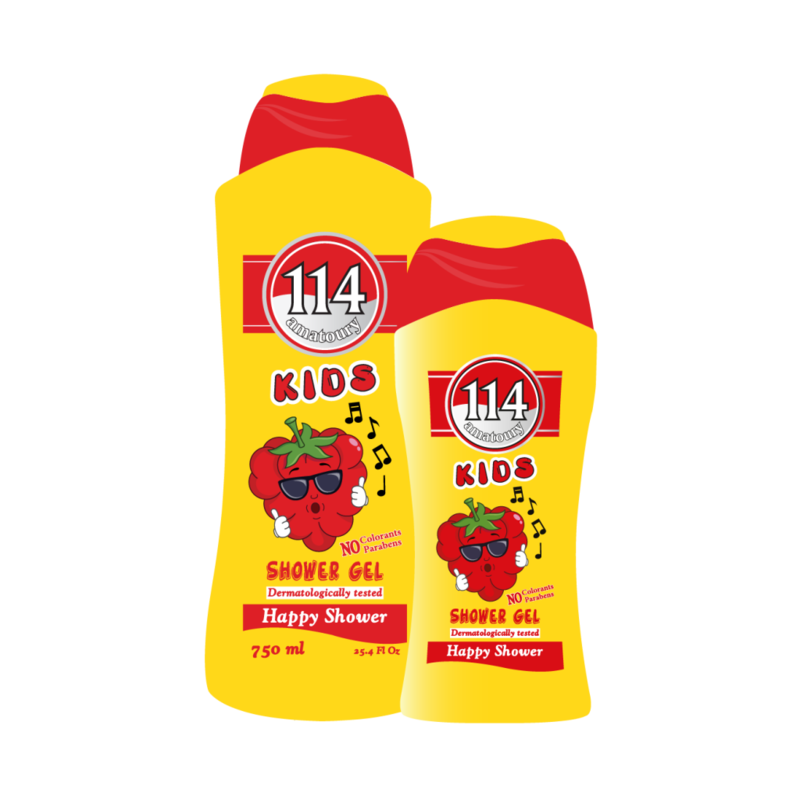 By using the mildest ingredients, 114 KIDS shower gel helps to maintain kids skin’s natural pH level! Aqua, Sodium laureth sulfate, Lauryl glucoside, Cocamidopropyl betaine, PEG-7 glyceryl cocoate, Disodium cocoamphodiacetate, Glycerin, glyceryl oleate, Styrene/Acrylates Copolymer, Polyquaternium 7, Chamomilla recutita (camomile) extract, Perfume, Sodium Chloride, Citric Acid, Methylchloroisothiazolinone, Methylisothiazolinone, Tetrasodium EDTA, Citral, Citronellol, D-Limonene, Linalool. Aqua, Sodium laureth sulfate, Lauryl glucoside, Cocamidopropyl betaine, PEG-7 glyceryl cocoate, Disodium cocoamphodiacetate, Glycerin, glyceryl oleate, Styrene/Acrylates Copolymer, Polyquaternium 7, Chamomilla recutita (camomile) extract, Perfume, Sodium Chloride, Citric Acid, Methylchloroisothiazolinone, Methylisothiazolinone, Tetrasodium EDTA, Butylphenyl methylpropional (Lilial), Benzyl salicylate, Citronellol, Geraniol, Hexyl cinnamal, D-Limonene, Linalool. Aqua, Sodium laureth sulfate, Lauryl glucoside, Cocamidopropyl betaine, PEG-7 glyceryl cocoate, Disodium cocoamphodiacetate, Glycerin, glyceryl oleate, Styrene/Acrylates Copolymer, Polyquaternium 7, Chamomilla recutita (camomile) extract, Perfume, Sodium Chloride, Citric Acid, Methylchloroisothiazolinone, Methylisothiazolinone, Tetrasodium EDTA, D-Limonene.